When we asked Charles Symington, Head Winemaker at Dow, Graham and Warre, to send in samples for our Own Selection from the superb 2011 vintage, he was happy to oblige. After extensive tasting, we concluded the wine made in the style of Graham best captured the essence of this extraordinary year with its precision, purity and power. 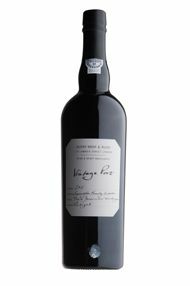 The blend is mainly Touriga Nacional and Tinta Roriz, with a small percentage of Souzão sourced from some of the best vineyards of the Douro Superior. The nose glories in notes of gum cistus and violet, and the palate is beautifully rounded, yet with finely etched tannins on the finish – making this vintage, to my mind, the best since 1994.